Want to read about what's happening in the district? Find the latest version of eNews here. 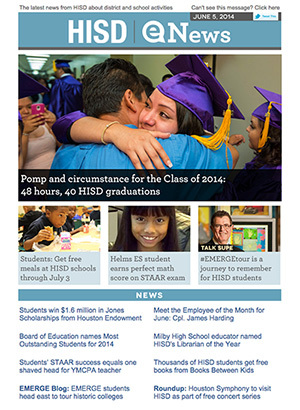 Or subscribe to eNews to get the latest news and updates from the Houston Independent School District delivered straight to your email.